Over the last couple of weeks, I've done more thinking than usual. I'm getting close to my two-month anniversary of not having been to church (apart from chapel services at Garrett). I've been busy writing papers for courses, slowly working on bits and pieces of my final integrative project. I've been watching movies, cooking, walking. More than anything else, I've been having conversations. Mostly, when these conversations have pertained to my own faith journey, they've revolved around or ended up on one major topic: pluralism. Also over the past few weeks, after going to see Cloud Atlas with Frankie and seeing the trailer for Life of Pi beforehand, I decided to read the book. I'd been getting tired of re-reading the same stories over and over (which should tell you something since, prior to this year, I hadn't read a new fiction novel in quite sometime, but instead kept reading old favorites like the Harry Potter and Ender's Game series as well as The Giver), and so I figured it would be a good one to tackle. In the first part of the novel, we see Pi (the main character... clearly) going through a crisis of faith. Pi is a Hindu, both by culture and by practice. He knows the stories, goes to temple, and lives his life according to the principles foundational to his faith. While on vacation, however, he comes upon a small, rural Catholic church, and his curiosity gets the best of him. He has several conversations with the cleric, wrestling with questions about the Christian faith that stem from his Hindu understanding of divinity and the relationship between divinity and humanity. Ultimately, before concluding his vacation, he rushes up to the priest shouting his desire to be a Christian, after which the priest tells him he already is one because he has searched. Here's the thing: Pi never renounces his Hindu faith. In fact, he has no desire to do so. He has found God in Krishna. He has found God in Christ. Later, Pi encounters a Muslim baker, an ordinary man who, in the middle of explaining the intricacies of making bread to Pi, is interrupted by the call to prayer, excuses himself for a few moments, and returns to the boy picking up right where he left off. Pi is so astounded by the man's devotion and humility that he feels compelled to know more. As with the Catholic priest and Christianity, he begins to explore Islam more in-depth, ultimately becoming a practicing Muslim himself. Again, he never leaves Hinduism, and he never turns away from Christianity. He has found God in Krishna. He has found God in Christ. He has found God in Allah. One unfortunate day, while out for a walk with his parents, the trio encounter another, one made of up the priest, the imam, and the pandit who have served as Pi's religious guides. None of them know about the other, and all three experience a sense of shock and horror to know that Pi has been, well, triple-dipping. They're confused, and their confusion leads to outrage, which leads to questions, all of which are directed at Pi, who by this point has nearly wet himself. His mother asks for his response. I was awestruck. 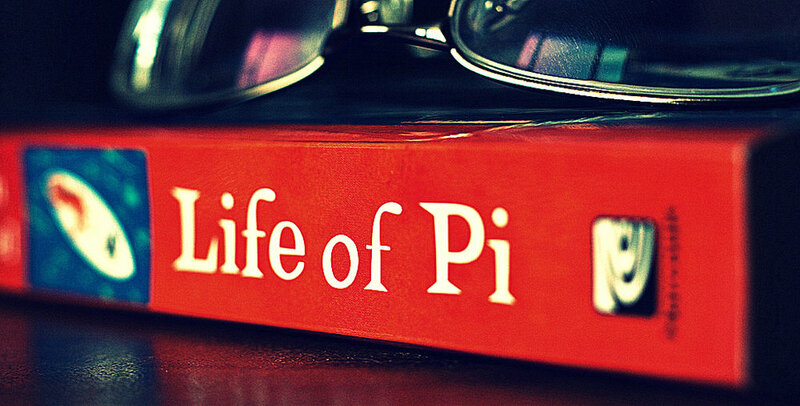 Something about Pi's words resonated so deeply within me that finding words to describe it is proving difficult. For some time now, I've felt my faith growing and transforming, but not in the direction I expected. Questions have surfaced. Contradictions raised. Some things were making more sense, and others were making less. After announcing my decision to leave the United Methodist Church, several friends asked me what my plans were. Would I go back to church? Would I pursue ordination elsewhere? Initially, the answer was yes. Now, in all honesty, I'm not so sure. In my twenty-eight years of life, the vast majority of my faith journey has taken place within the confines of Christianity. Since starting seminary and studying theology, I've experienced a transformation that has far surpassed my own expectations or imagination. I'm at a crossroads, and the words of Pi have helped articulate the direction I see myself taking. For several years, I've been superficially curious about other faith traditions and belief systems. In the past, any time I studied another faith, it was always through the lens of a Christian author, speaker, or spiritual leader. I never left the safe bubble of my own background. I am, indeed, a cultural Christian, and it's taken me this long to realize that. I've been feeling the desire, the urge, to explore, to delve into the beliefs and practices of other faith traditions and ideologies. Not simply at a superficial level either, but in a fully immersed fashion. I'm not entirely sure what this part of my journey will look like, especially given that I still have slightly over a year left in seminary. I do know that Jesus is (and probably always will be) important to me in a more unique way than I can express. But if Jesus is God, and God is omnipresent, then there is a possibility that Jesus, or more accurately the Christ spirit (the Logos), is present in a more expansive way than I personally have ever seen or experienced. The motto of the United Church of Christ is "God is still speaking." I, for one, want to make sure I'm listening. Pluralism is often defined as the acceptance of all religious paths as equally valid, promoting coexistence. For many, this is manifested in a sort of tolerance of other faiths, a belief that "I believe this. You believe that. We're never going to change each other's mind, so we might as well put up with each other." That's not enough for me. I never want to feel as if I'm simply putting up with another person, another human. I never want to look at them and think that, because they believe something different from myself, that they are somehow unable to truly be a part of my life. For me, pluralism is about identifying with the other, making him or her a part of myself. It's about saying, "I believe this. You believe that. We might not change each other's mind about anything, but I'm sure there's something we have in common, whether in belief or goal." It may be that this journey will lead me right back to Christianity, albeit as a different person with a broader understanding of God, faith, and spirituality. It may lead me elsewhere. I honestly can't say for sure. But like Pi, I simply want to love God. I talked with mom last night, twice actually. Lately we've only been talking about every other week or so, and only for a few scarce minutes at that. Since the ordeal with her mammogram and my stepdad's heart attack, I simply backed away from previous issues that were on the table, primarily that of my relationship with F. I love my mom. We did not have an easy relationship growing up. After her car accident, for many years, there was sporadic but ongoing physical, verbal, and emotional abuse. Most days, I feel that I've reconciled myself with all that took place. Other days, it makes me aware of why Jesus said to forgive those who harm you 70x7 times - that's how often the pain can rear its head in your life, and each time takes forgiving them again. My relationship with mom is no different. Shortly before Memorial day, my parents came to the city to visit me for the first time since I've truly lived on my own (dorms don't count to me, and even then, they rarely visited there). More importantly, this is the first time they have met a significant other. By that point in time, F. and I had been together almost 9 months (we will hit a year right around the Fall Equinox). In my mind he's not going anywhere, and he confirms this on a regular basis. This is where the challenge with my family comes in. During the visit, my parents, though cordial, were distance and not engaged. I could tell the felt uncomfortable and awkward, and I tried my best to assuage as much of this as possible. When they left after the weekend was done, I thought it had gone well. Yet a couple of days later, in conversation with Mom, I realized it had not. They could not and would not accept my relationship as valid or right. Their claims while I was a child of "wanting me to be happy" apparently had conditions and stipulations that had not been previously made known to me. They said that F. was not welcome in their home and that this was an indefinite decision. I don't think my heart had ever been broken that badly before. It's most definitely still on the mend. In the meantime, back to my talk with mom last night. She said, "So you really don't think you'll ever change..." "No, I don't. If I wasn't with F., it would be someone else. But right now, I have no desire and don't see it being with anyone else but him." She cried, as she does sometimes. I know there is a loss there, a mourning and grieving that she must go through. This grieving for her, however, has gone on for somewhere between 11-17 years, the first signs of my identity and personhood showing up when I was as young as 9, maybe even earlier. I told her that I loved her, but that from here on out, I was part of a packaged deal. I could not and would not come alone again. That was my truth. It would not change that I loved her and Dad, and that I respected their wishes. But ultimately, the kind of relationship they had with me was no longer dependent upon my actions and decisions, but upon theirs. They would choose how involved and how close and how intimate they were with me. The second conversation happened mainly because I've been trying to determine the best way of getting the money I owed them from my tuition deposit to them in a timely and dependable fashion. It ended with my again reassuring mom that I loved her and was there for her and Dad in whatever way I could be, and that I appreciated their help financially. F. and I went out last night because last minute he was asked to help with a demo at Touche. I was glad to go and spend time with his friends, whom I have been getting closer to over the past year, who have welcomed me into their world and given me space to wonder and question and learn and explore. Now I'm an open person to begin with, but a rough conversation with Mom and a couple of drinks, and that's definitely intensified. Yet they did not shy away from hearing a glimpse of was was happening in my life, but rather listened intently and offered empathy, advice, and support. At the end of the night, Frankie did the same when I shared discomfort of having him help me financially so often lately. The term partner definitely fits him perfectly. All that being said, thanks be to God.